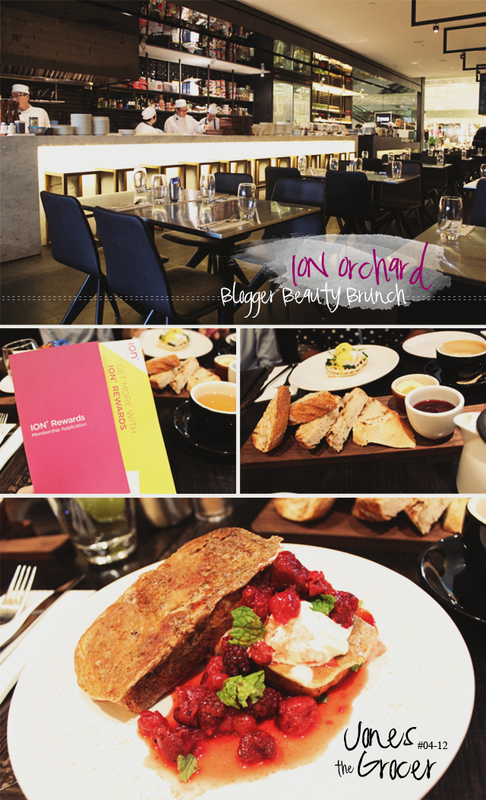 Last Tuesday, I attended ION Orchard's Blogger Beauty Brunch at the newly opened Jones the Grocer. When I first read the invitation from Matt, I actually let a (tiny) squeal in class. Heh (Yes, I'm so not cool.). I mean, if Starbucks is your third home, ION Orchard is mine! Anyway, before I go on, today's actually the last day of the mall's Fall Beauty Mobile Campaign. All you need to do it to access http://beauty.ionorchard.com/ on your mobile and you get to redeem free sample-sized products from 15 participating brands. :D These include Apivita, Beauty by Nature, Biotherm Homme, Dr Ci:Labo, Dr. Hauschka, FANCL, Kiehl's, L'Occitane, Lab Series, Laneíge, Shu Uemera, Skin Inc, VMV Hypoallergenics, Watsons and YSL Beauté. As aforementioned, the day started out with a hearty brunch at Jones the Grocer. I have walked past another outlet countless of time and have heard JH talked so much about it but this was actually my first time eating there. Just like the other 2 outlets, this sported the same matte black, cozy interior. A perfect place to hang out with friends on a Sunday morning, yes? Updates on fashion, arts, dining and lifestyle trends. Apivita was next. The birth of this Greek brand was inspired by the bee's society which is marked by its harmony, balance and solid structure. The brand borrows ingredients from the Honey Bee and these include nature's miracle antiseptic (Propolis), the purest natural energy source (Honey), nature's secret elixir (Royal Jelly), and the richest source of amino acids in the natural world (Bee Pollen). I'll be using their sunscreen soon so stay tuned for a review! 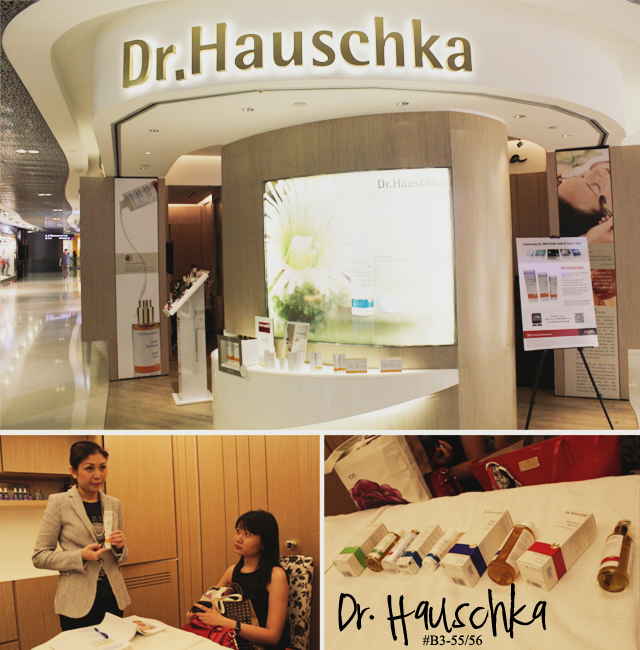 The last stop was at Dr. Hauschka. 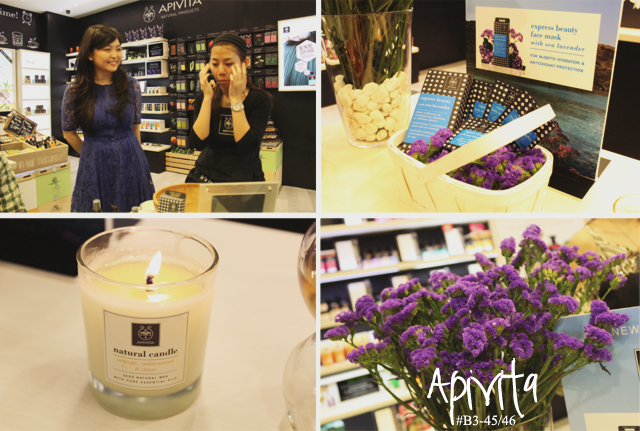 This brand prides itself in providing skin care that works with your skin, and not against. It doesn't suppress symptoms but instead, harness the healing properties of nature and actually activate the skin's own impulse to heal and balance itself, naturally. 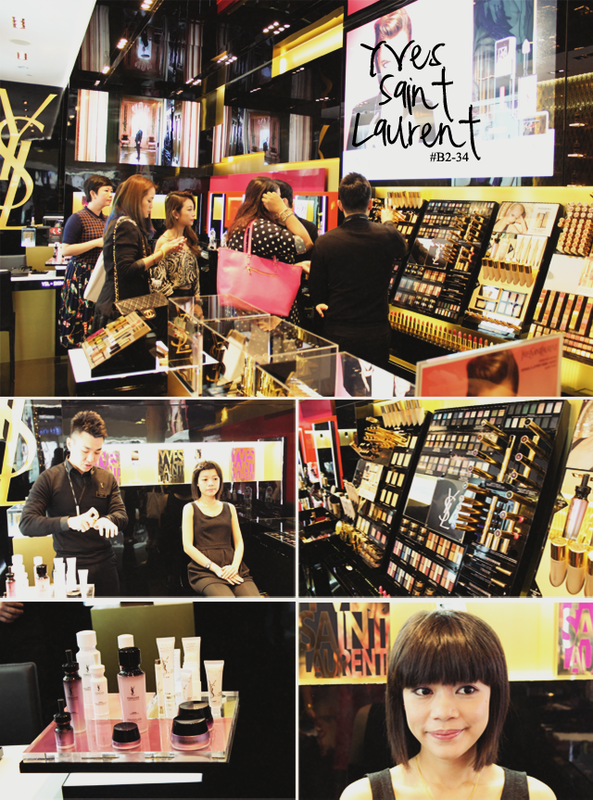 The brand's philosophy really speaks to me so I'm really excited to see how their products will work for me! 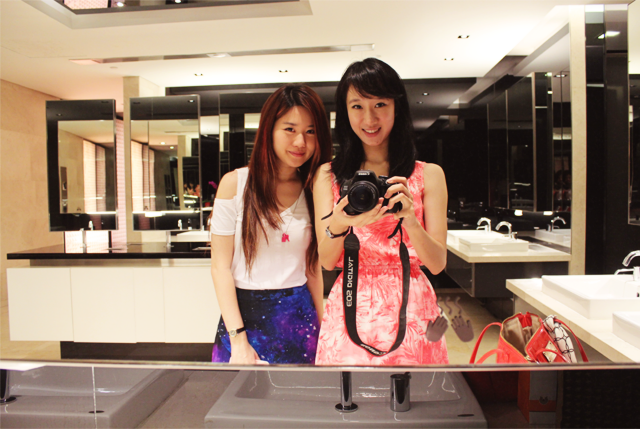 And of course, the compulsory shot in the ladies with pretty Juliana!